As I mentioned in my last blog post, earlier in November I spent three days at the Intrapreneurship Conference in Toronto. The line-up of speakers on Day One included CEOs Larry Keeley of Doblin Group (Deloitte), Idris Mootee of Idea Couture, my colleague Ken Tencer from Spyderworks, along with a panel of CEOs led by a Globe and Mail correspondent. The day culminated in a hilarious and clever game that had us working in teams on an innovation challenge to discover and demolish, both personally and collectively, the barriers to being an intrapreneur. The game and the presentations by the Day One speakers offered a reality check to participants. Delegates had an opportunity to see themselves in the broader perspective of the trends, trials and tribulations of intrapreneurship when promoting innovation and moving change through organizations. These insights echoed what I’m experiencing in my own work with clients and in some cases boldly called out how organizations unproductively engage in innovation and, as a result, are missing the point about what it takes to truly be innovative. In next week’s blog post, I’ll talk about three mistakes organizations make when doing innovation. But this week I want to talk about intrapreneurial organizations and their leaders. Organizations that are intrapreneurial in nature encourage and support intrapreneurship. These types of organizations exhibit three foundational qualities: progressive leadership, a culture of empowerment and a process to market – and market can be anything from the external place you sell your services and products or your internal work environment where the changes you’re making (such as new thinking and business solutions) need to be accepted and adopted. Intrapreneurial organizations see innovation as integral to their work, which means it’s not a “side of the desk effort” hoped to be achieved through wishful thinking. Innovation is integrated into everything they do and impacts the business daily. However, innovation does need process. In an organization that has internalized innovation, it is seen as integral to the organization’s functioning as finance, human resources, and information technology; just as these disciplines need process, structure and leadership, so does innovation. But innovation also takes intrapreneurs, and, as Gifford points out, intrapreneurs need their management sponsors. These sponsors—the organization’s leadership—are required to manage, master and thrive in change. Doing so requires new ways of thinking, new ways of working, and adept application of learning and innovation skills. Leaders of intrapreneurial organizations are called upon to be change leaders. 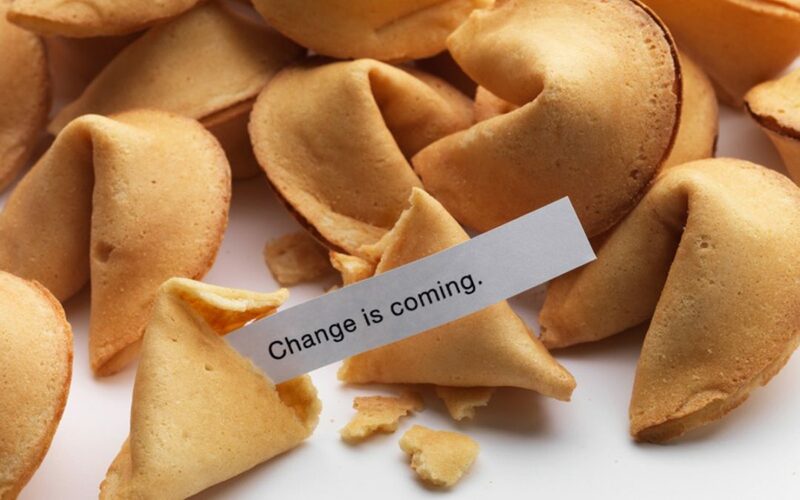 Effective change leadership sets direction, creates alignment, builds commitment and anchors change, while effective change management requires that leaders understand the elements of change and how to lead others successfully through change. At the conference, Larry Keeley suggested, “If you do innovation right it will be the hardest work you’ve ever loved!” Innovation is hard work because when we’re innovating we’re changing things. Change needs creative leaders—the management sponsors of intrapreneurs— who understand that their job isn’t to have all the answers; it’s to set the conditions for creative thinking to emerge and to support this creativity by focusing on the right questions and building cultures of innovation. Those of you who are out there in the trenches, believing in what you do and working hard to get others to accept it, take heart. Don’t give up on your dreams of making a difference. This kind of change takes time. Be patient with yourselves and others and keep creative problem solving. What you do will be hard…remember that the work of change is not so much glamorous as tough. Stick with it. If you need help sticking with it, we’ve got a number of ways we can help, which we’ve listed below. You might also want to check out the resources available through the League of Intrapreneurs. BridgePoint Effect offers services to support Change Leadership and Business Transformation. We have designed leadership development programs and have a number of courses to help leaders understand how to set the conditions for creative thinking in their work environment. Follow the links below to learn more. And finally, if you need help with an innovation challenge your organization is facing, ask me how you can use our ThinkUP Innovation Framework to increase your capacity for innovation and multiply your innovation impact.